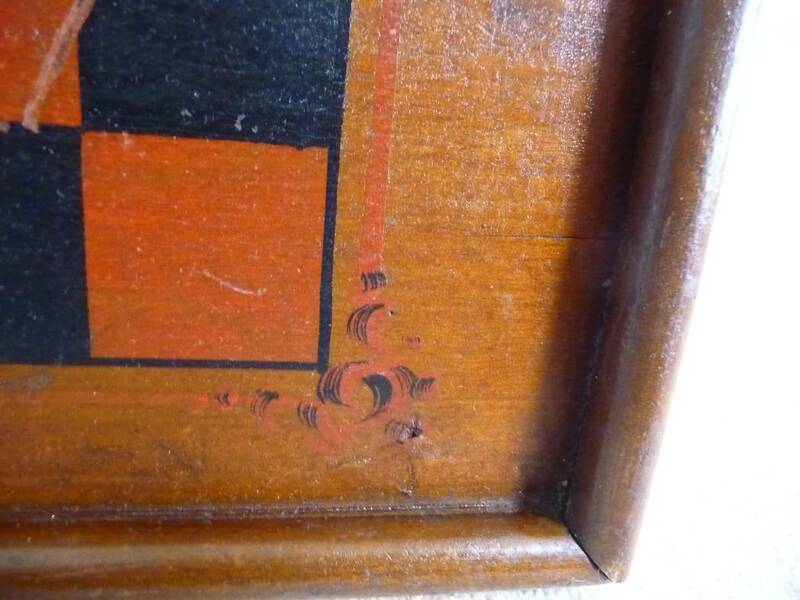 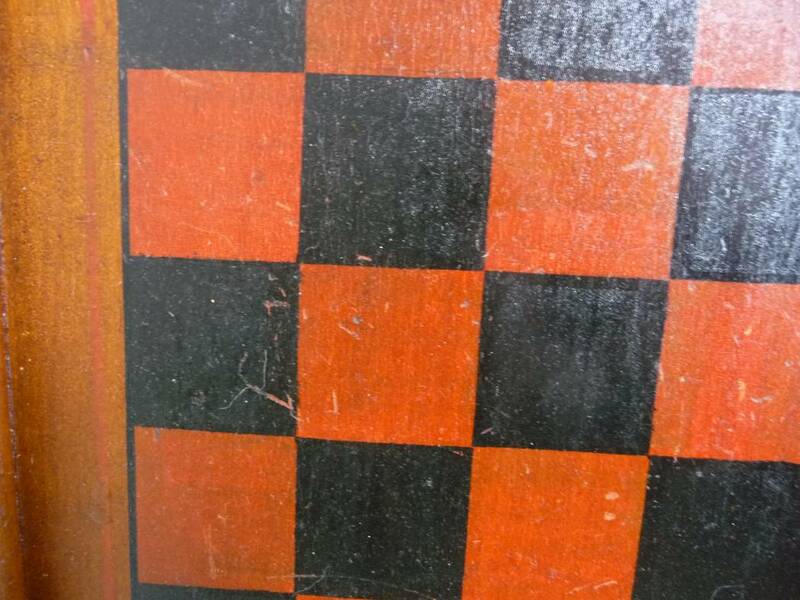 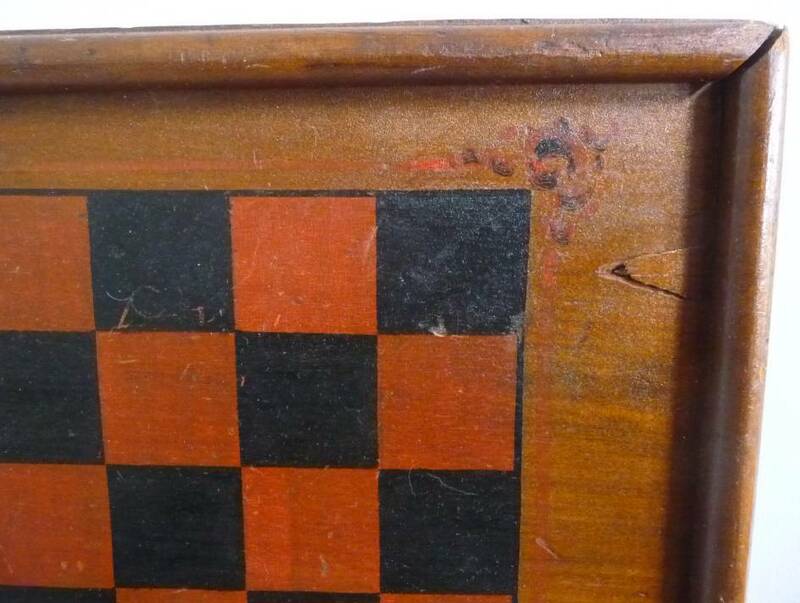 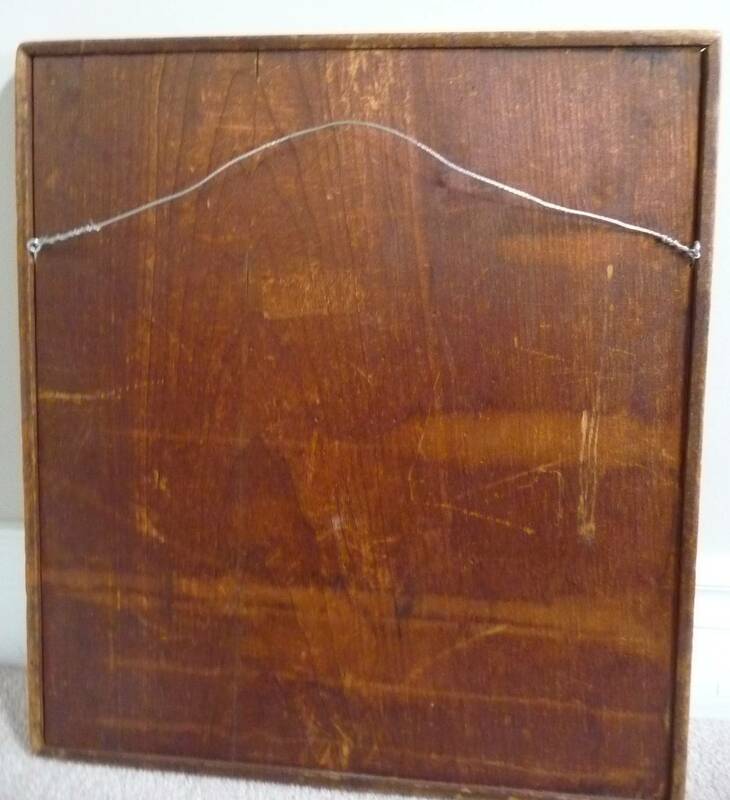 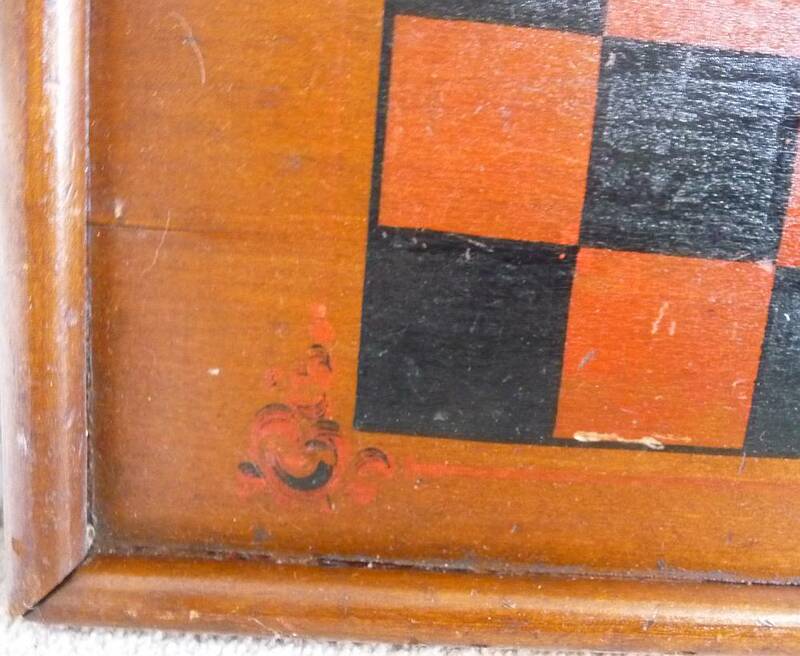 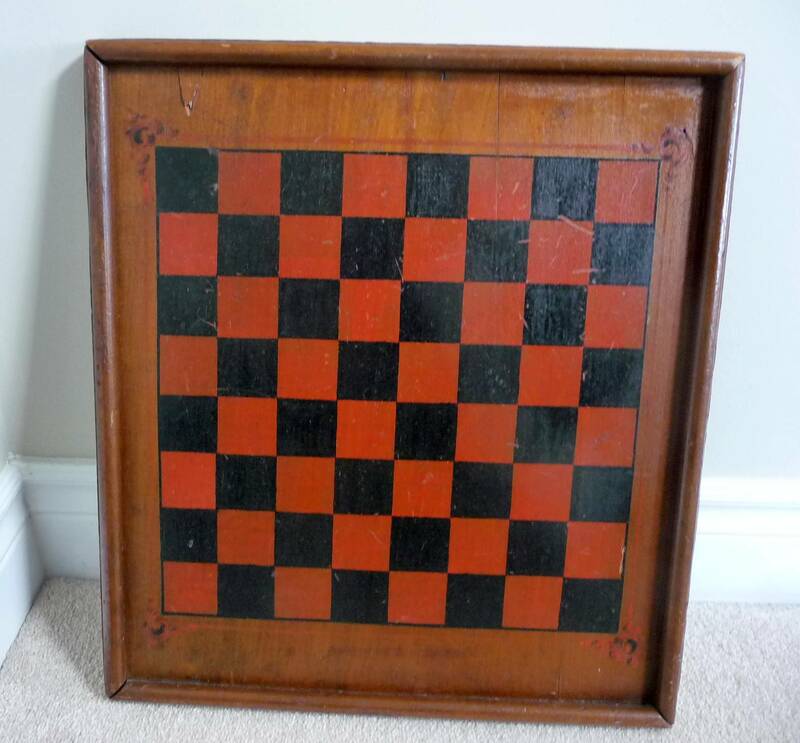 One piece pine gameboard in original paint from the first quarter of the 20th century. 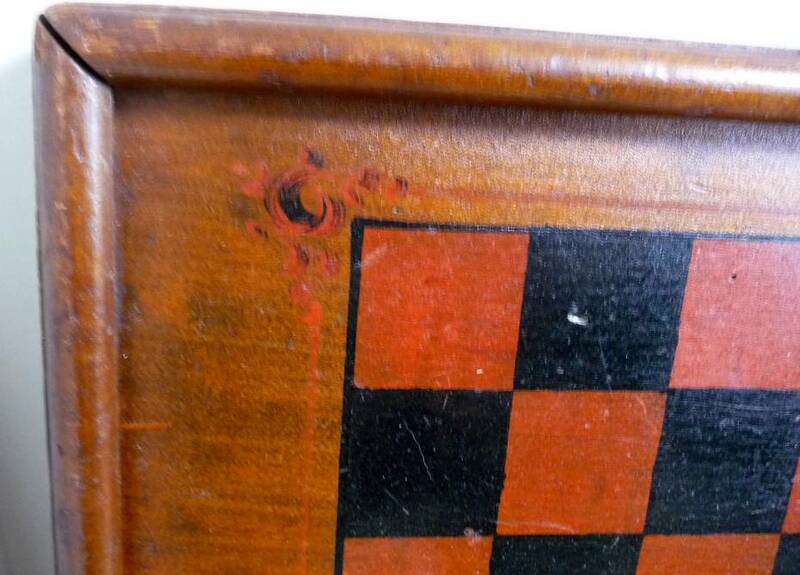 Decorative touches seen in the corners. 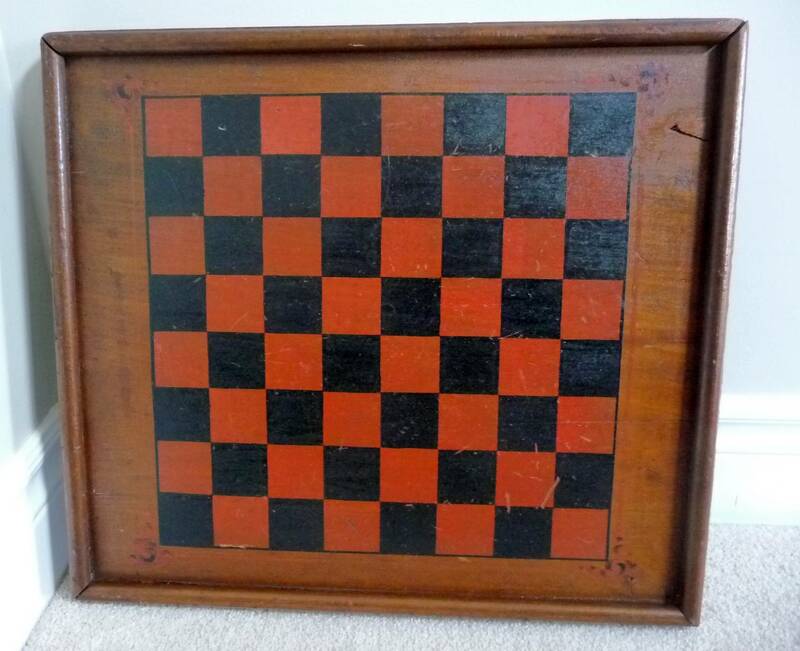 Approximate Dimensions: Height 20", Width 18"